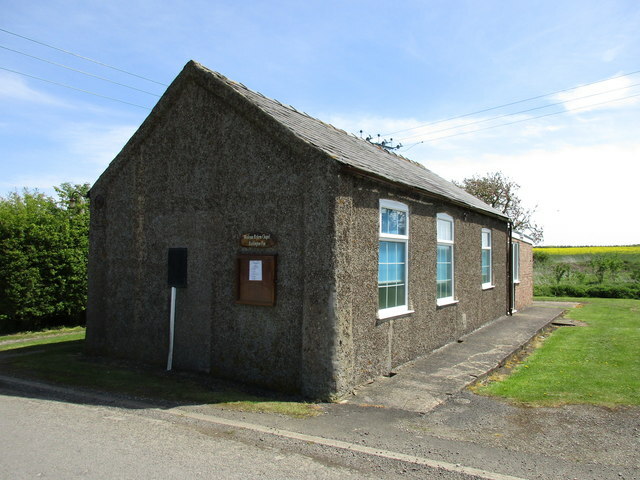 The first Wesleyan Methodist chapel in Ruskington was built in 1833. It was replaced by a new chapel on Chapel Street in 1849, which was rebuilt in 1958. The Chapel built in 1849 is pictured left (taken from an old ‘Peatman‘ postcard) and was added to over the years with a Sunday School room, vestry and toilets. The old Chapel was demolished in 1960 and the land subsequently used for a meeting hall and car park. The new Chapel had been built in 1957 on the site of four cottages, pictured above on the left on the old building, which, themselves, had been demolished in 1950. The new Chapel was formally opened on 18 September 1958 by Mr Guy Chester and dedicated by Rev. J. E. Eagles. about the History of Ruskington Methodist Church. 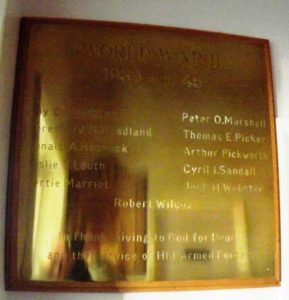 The plaque mounted on the east wall inside the Church foyer was moved from the old building to the new when the re-location outlined above was made. It lists the names of all of the 30 Great War casualties named on the village Memorial in the Cemetery, with no distinction to whether they worshipped there or at a different village church. The Methodist Church also has a World War 2 Memorial, which bears the names of all of the Ruskington men who gave their lives in that War, irrespective of which Church they attended. The Second World War Memorial is also in the foyer on the wall opposite to the World War 1 Memorial. There is another Methodist Church in the Ruskington area, located on Fen Road, North-east of the village. It is a simple rectangular building, which was opened in 1858, but it does not contain a War Memorial for either World War. In addition to the Methodist Church War Memorial, Ruskington has four other Memorial sites and each has its own page in this site.